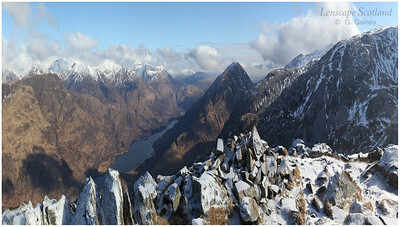 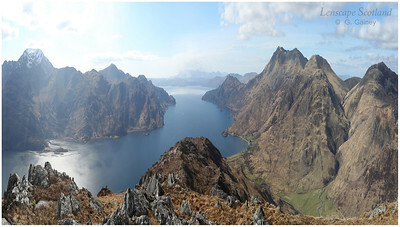 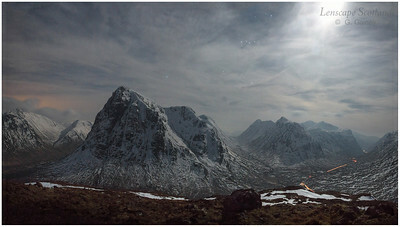 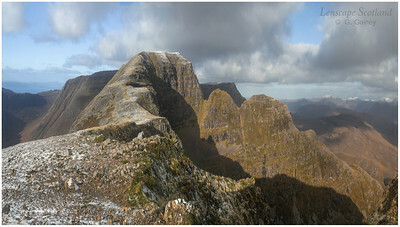 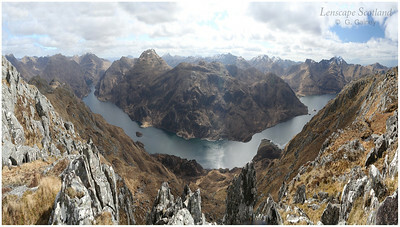 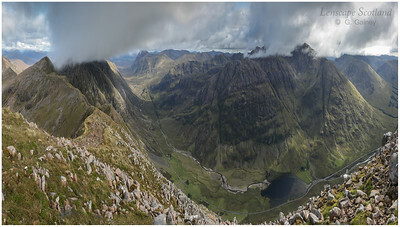 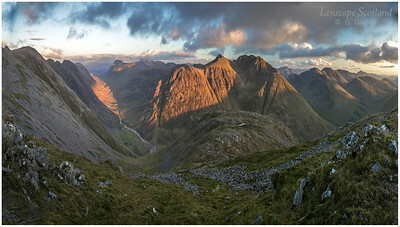 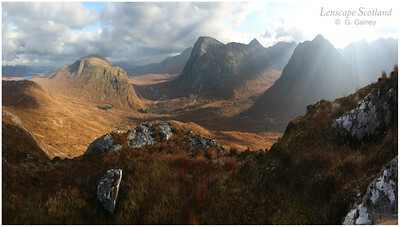 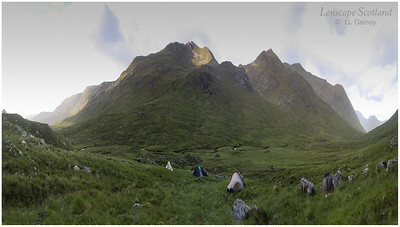 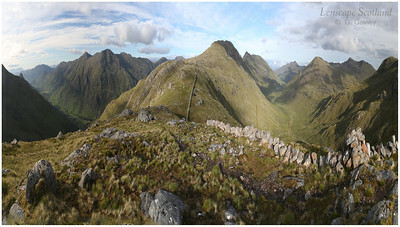 The Scottish hills have often been photographed as panoramas. 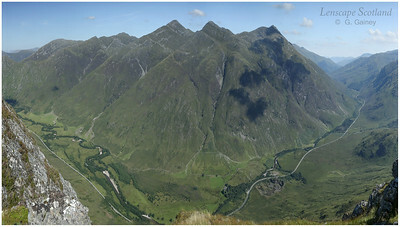 But conventional panoramas can look very flat and leave an awful lot of empty space ! 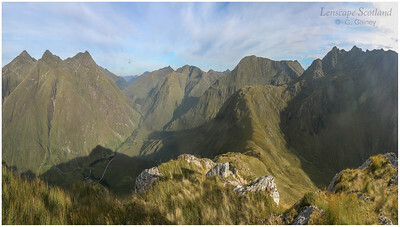 The panoramas in this collection have been 'squashed' to varying degrees so they fill the screen and exaggerate the verticals. 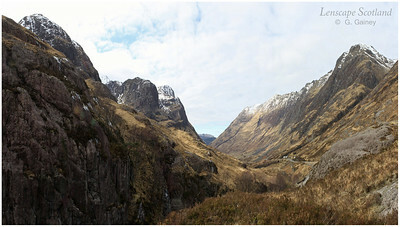 Although this might be seen as a distortion of reality, it can sometimes capture the drama of the scene as perceived by the original viewer. 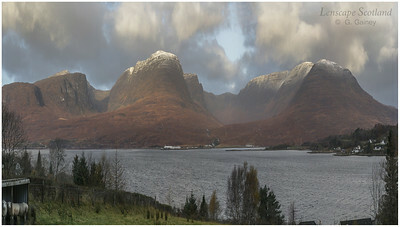 The effect depends on the degree to which each picture is squashed and stretched. 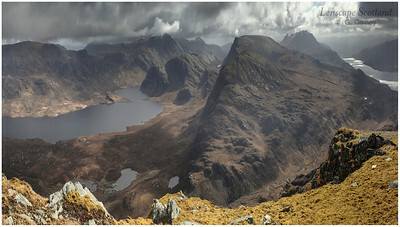 In some of the more extreme examples which follow the terrain can look decidedly Tolkienesque !